To celebrate the success of The Path season one on Hulu, we are excited to present this very special edition of ARTICLE Issue Six, with lots of additional bonus material for followers of the British actor. This Limited Edition contains the newsstand edition of our Winter 2015 issue, which features a dramatic black-and-white cover shot of Hugh Dancy, and includes Stuart Husband’s original feature-length interview. The magazine is accompanied by a separate, brand new 8-page poster booklet, with exclusive unreleased images from our shoot at Tempelhof in Berlin, Germany. 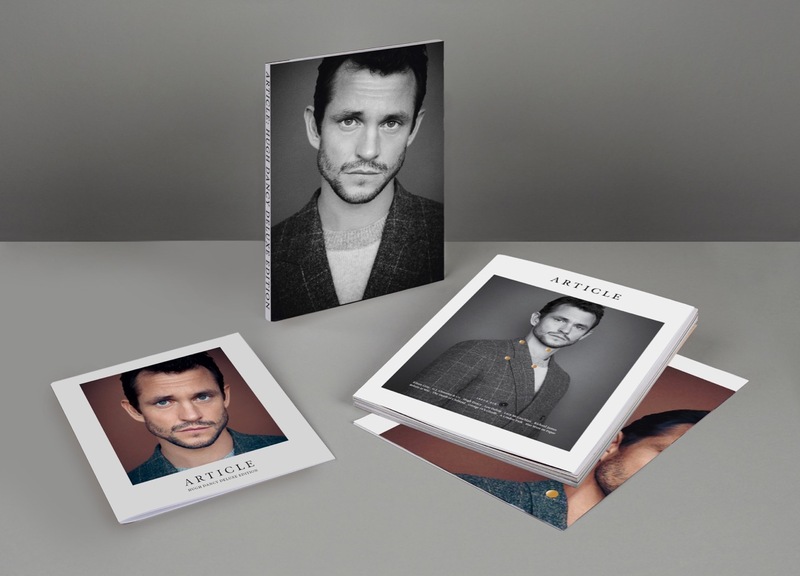 This Deluxe Edition comes in a brand new book jacket, and also contains an A2-size full colour, double-sided fold-out poster of Dancy. The price for this special edition is £11.00 GBP, with freepostage for UK orders and greatly reduced international shipping rates: £3.00 GBP for European orders and £5.00 GBP for all other destinations worldwide. Order now, and you will receive this Deluxe Edition delivered straight to your door when it becomes available mid-July. How excited are you for this DELUXE edition! We’re jumping for joy at the opportunity to add it to our collection, what about you? This is a must have for all Fannibals and followers of “The Light”, all of you Hughvians out there. Side note: Look at that cover! And remember our review? It really is amazing quality and you do not want to miss out on this one!